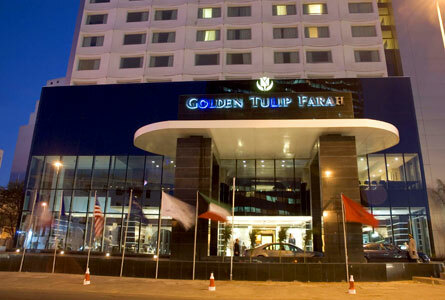 ﻿ First Class Hotel Golden Tulip Farah Hotel! This is a charming hotel, with an expression of luxury with its excellent services, genuine hospitality and extreme comfort. You feel welcomed, as you enter the large, tastefully decorated lobby with elegant furnishing and a well-structured sparkling fountain. The hotel offers 280 tastefully decorated rooms including some suites. 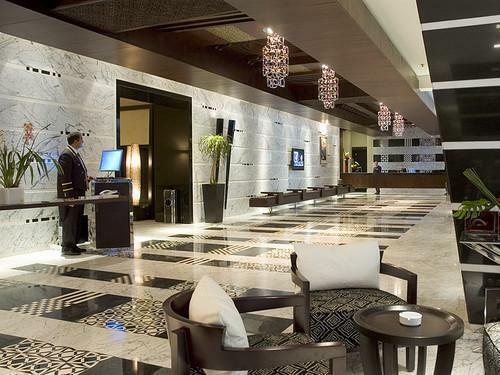 For the business travelers there is a conference hall with all modern amenities with a sitting capacity for 600 participants, 7 seminar rooms and a business center. There are three restaurants that offer exquisite and tasty cuisines. There is a Moroccan restaurant offering a mix of sweet and salty, with a blend of innovative North African flavors. The French restaurant specializes in the best of French cuisines and out of the menu mouth-watering a’la Carte. The International restaurant offers a blend of unknown spices and flavors, so different that you keep coming back for more. After a tiring journey around the city, you can enjoy some quiet moments in the SPA that offers a la carte choice of treatments, like oriental massage, hydro massage etc. You can take care of your body muscles at the fitness center, swimming pool or the sauna. The hotel also offers babysitting facility on request. 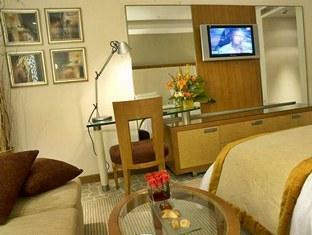 It has well planned facilities, which make it suitable for everyone to enjoy their stay. Other paid facilities like car parking, car rentals, coach parking, boutique, and 24-hour room service are also available.